Steeleye Span were at the forefront of folk-rock in Britain during the seventies. 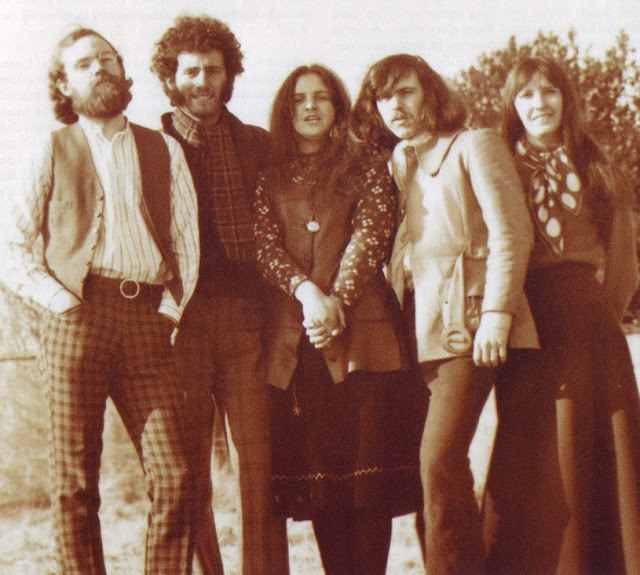 They formed in 1969 when Ashley Hutchings, former bassist with Fairport Convention, who'd originally wanted to call the group Middlemarch Wait, met up with Tim Hart and Maddy Prior, a popular folk duo who'd recorded three albums and Gay and Terry Woods, who'd played in an electric folk band called Sweeney's Men. This line-up rehearsed in Wiltshire and recorded a debut album in London but then split up without gigging when it became apparent that the Woods were incompatible with the rest. The Woods joined Dr. Strangely Strange in May 1970 and later formed The Woods Band whose albums were put out on Polydor. Mike Warth tells me that their first album is a real folk-rock masterpiece. If there was friction in the band it isn't reflected in the quality of the music. Apparently the shared vocals of Gay Woods and Maddy Prior are astonishing and the selection of traditional material is of the highest quality. Martin Carthy, a significant figure on the traditional folk circuit and fiddle player Peter Knight were drafted into the new line-up. This incarnation gigged extensively and recorded two albums. They enhanced their growing reputation as part of the burgeoning UK folk scene but didn't break through commercially. They lasted until November 1971 when Ashley Hutchings left to do session work before eventually forming Albion Country Band. Martin Carthy also returned to his solo career. These changes marked a major upheaval in their development with their producer and manager Sandy Robertson leaving too and Jo Lustig taking over their management. A new line-up was put together incorporating former accountant Rob Johnson and bassist Rick Kemp, who'd worked with Mike Chapman. They now embarked on the start of their most successful phase and their album Below The Salt spawned a hit single with their accapella version of the Latin hymn, Gaudete, Gaudete. Shortly after Charisma released Individually And Collectively, a compilation of material from their second and third albums, which included solo works from Carthy, Hart and Prior. Nigel Pegrum, from Gnidrolog, was added to the band to give them a drummer for the first time, and they grew from strength to strength with Parcel Of Rogues, Now We Are Six (produced by Jethro Tull's Ian Anderson, which spawned Thomas The Rhymer, one of their finest songs), Commoner's Crown (which featured Peter Sellers playing ukelele on New York Girls) and All Around My Hat, their most successful album of all. The title track became a major British hit single and their first record to enter the US Charts. When the band eventually gave up the ghost in March 1978, Tim Hart and Maddy Prior both embarked on solo careers. 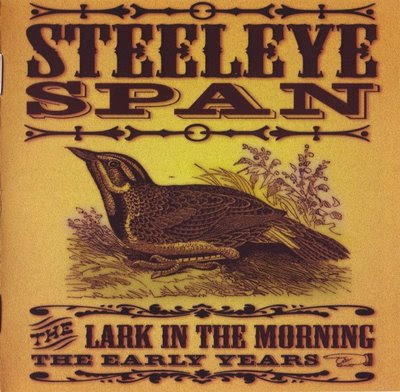 Steeleye Span were the type of band you either loved or hated, but along with Fairport Convention they were at the pinnacle of British folk-rock in the seventies.